Pretty much every article from respected economic sources is painting a rosy picture for the results of 2016 as well as the outlook for 2017, with a few caveats. 2016 saw unemployment fall in 271 of 387 urban markets while payroll jobs expanded in 303. Real GDP was revised upwards for 2016 by the Federal Reserve Bank in December to 1.9% and is projected at 2.2% for 2017. However, it is difficult to predict how significantly some recent changes in economic and monetary policy and actions at the federal level will impact the economy in general and real estate specifically. The first change is the rapid rise in long term interest rates, which are up 0.5% since early November. The second is the dramatic appreciation in the value of the dollar in the same time frame, up 2.5% against the Canadian Dollar, 7.2% against the Euro, and 15.7% against the Yen. How might these affect the real estate market in San Francisco and the Bay Area? Well, rising interest rates affect a lot more than just home mortgages. They dampen business investment and feed inflation. Rising inflation can have a damaging effect on the economy because it can become part of vicious cycle of rising interest rates fueling inflation which drives higher interest rates, and so on. We have been in that paradigm before and it can take a terrible toll on both the economy and real estate values. As interest rates rise, property values fall. Currently, our economy is being driven mainly by strong consumer spending. So, if consumer confidence weakens from concern over rising inflation, or if purchasing power erodes because of it, the economy and real estate sales will suffer. 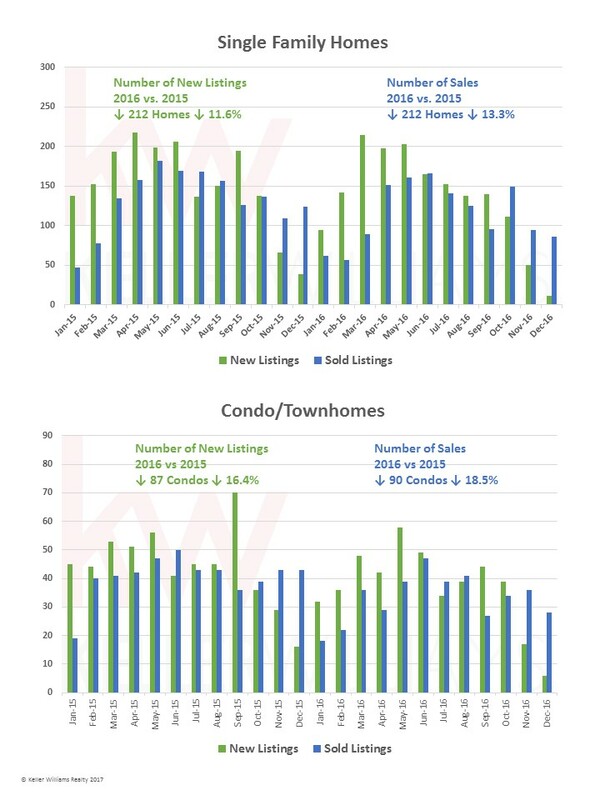 The charts on the following pages graphically depict this message: Southern and Central Marin County (Sausalito, Mill Valley, Tiburon, Corte Madera, Larkspur, Greenbrae, Kentfield, Ross, San Anselmo, Fairfax) remains a strong sellers market, with incredibly low inventory of both homes and condos. 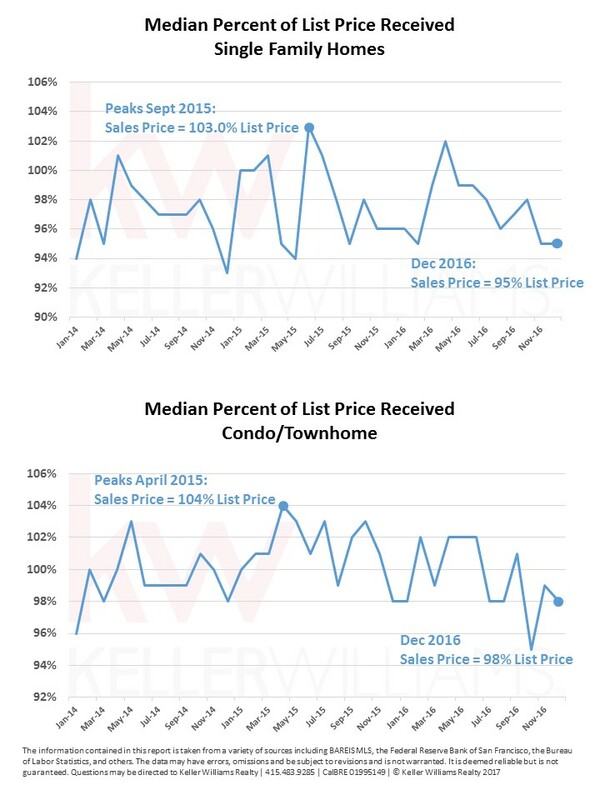 Median sales were virtually unchanged over the past 12 months, rising 0.83% for single family homes and falling 1.8% for condo/townhomes. 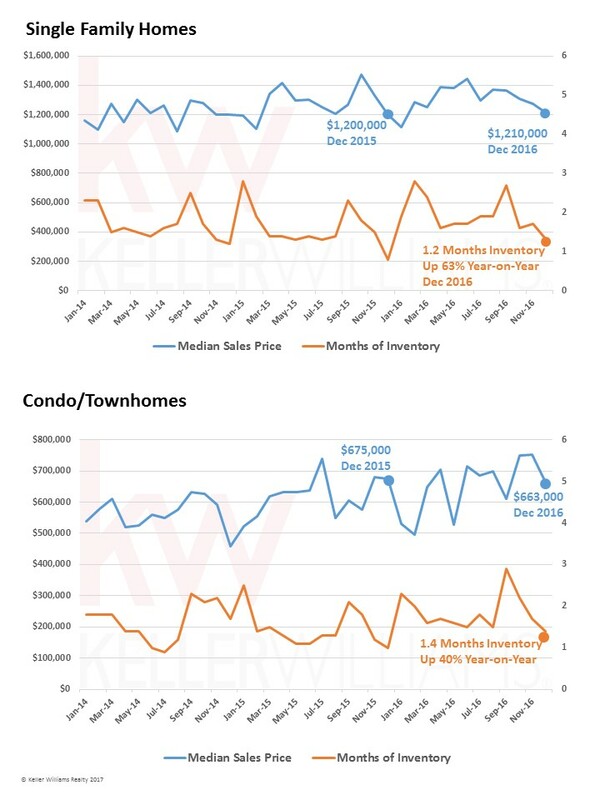 Given the incredibly low inventory, it is likely that prices will strengthen as the Spring selling season starts but may be flat to slightly down over the course of the year, as higher interest rates have an impact.